Today's entry, a barn. The innocuous, ever-present (at least in rural America), barn. What I like about old barns is the character they express. Some are wooden, but my favorite are brick or stone. Admittedly, this isn't the best composition and it really isn't all that interesting overall, but then again some people say that about barn's in general. 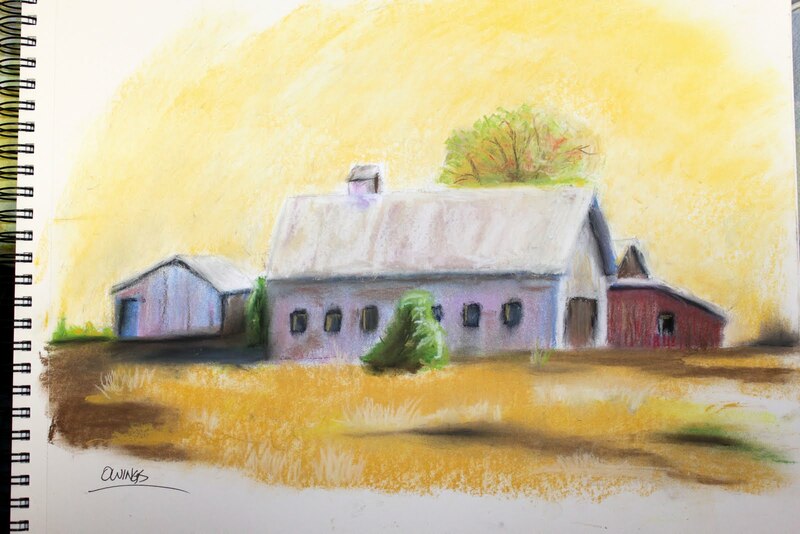 I expect to draw or paint at least one more barn scene during the project so maybe it'll be a better effort next time. I like the color but your correct about composition, you have it very centered but otherwise great job. You are ambitious can't wait to see the next one. Hey thanks Debbie. I definitely need to get better at composition. I am going to try a few oil paintings during the project and to apply some of the Amy Sands principles. Cheers!